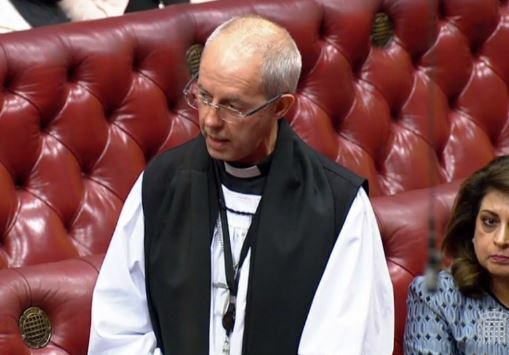 The Archbishop of Canterbury: My Lords, I welcome the Statement and the eventual comprehensive response, and I particularly welcome the speech given by the noble Baroness, the Leader of the Opposition, which was especially powerful and helpful. Having been with voluntary groups at the Grenfell Tower during the day following the fire, I have two questions. O n 6th December 2016, Lord Bourne repeated a Government statement made in the House of Commons about the review published by Dame Louise Casey. The Bishop of Winchester, the Rt Revd Tim Dakin, welcomed the review and commended programmes such as Near Neighbours for their potential to help social integration. The Lord Bishop of Winchester My Lords, this review is very welcome for its frank and open-eyed survey of the social realities of our country. The Church of England is present and engaged in communities everywhere in the country. The importance of the work of schools, including faith schools, features largely in the review. I welcome the thrust of its approach and recommendations in relation to schools. We believe in British values, along the lines of the rich understanding of values explored in this Chamber last Friday. We will seek to respond to the review’s legitimate challenges to faith leaders.